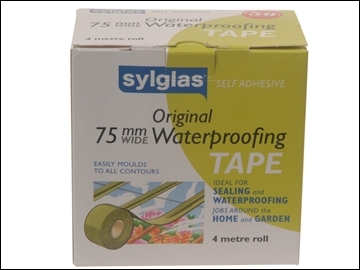 Self-Adhesive, flexible tape for general waterproofing and sealing jobs around the home and garden. Gorilla Tape is an ultra tough cloth tape. 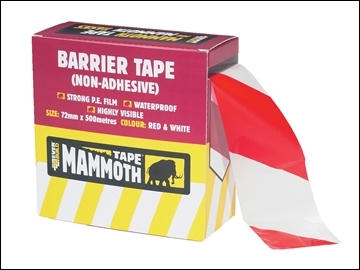 Made from 3 layers -a double thick adhesive layer, a strong reinforced backing and a tough all weather shell. The thicker the adhesive the better the strength. The strong reinforced backinghas a high fibre count cloth backing that gives high strength, but can be ripped easily by hand. 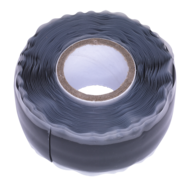 Gorilla Tape is for contractors and DIYers, as well as sports enthusiasts and outdoor adventurers looking for a tough and portable tape to repair, patch or hold equipment while building and remodeling, landscaping, hunting, fishing, hiking, camping, boating, surfing or bicycling. 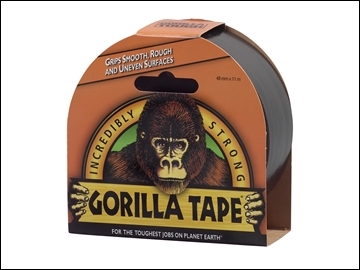 3 strong ingredients have made Gorilla Tape successful to work with! 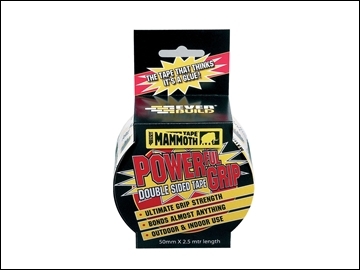 Mammoth PowerGrip Tape is a polyester fabric re-enforced double-sided tape with a powerful synthetic rubber/resin adhesive designed for bonding almost any material to themselves or each other. PowerGrip tape has extremely high bond strength, can be used indoor and outdoor and is totally weatherproof when applied. 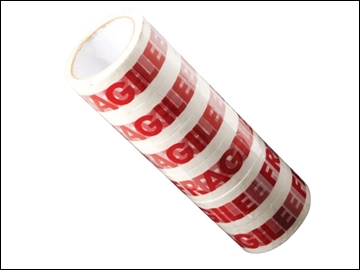 Quality white packaging tape pre-printed with the word 'Fragile' in red. 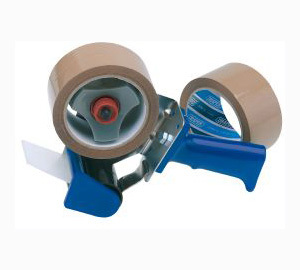 Ideal for sealing cardboard boxes which contain delicate and valuable items during transit. 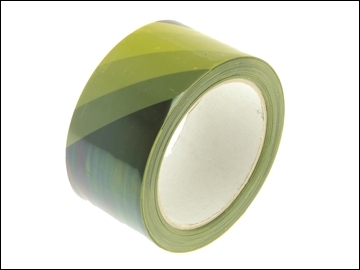 A cold applied tape which remains plastic over a wide temperature range. It is non-hardening and non-cracking. It is highly resistant to mineral acids, alkalis, salts and micro-organisms and highly impermeable to water, water vapour and gases. 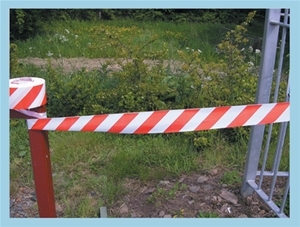 Used for the protection of buried or exposed pipes, rods, cables, valves and metal fittings from corrosion. Suitable for industrial and domestic applications for sealing boxes, cartons etc. 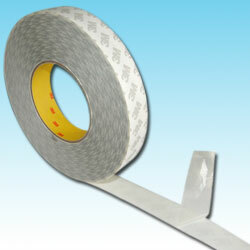 Steel frame construction with comfortable handle and supplied with two 48mm x 33M reels of packing tape. Display packed. 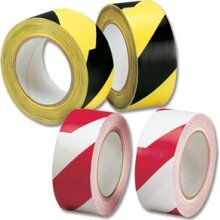 Self-adhesive hardwearing safety tape for marking hazardous areas, Fire equipment, First aid points and ideal for lane marking. Diagonally striped in contrasting colours. 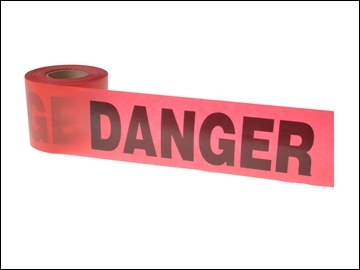 Red barricade tape with DANGER written in 2 inch, black characters. 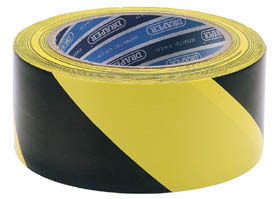 Yellow barricade tape with CAUTION written in 2in, black characters. This C.H. 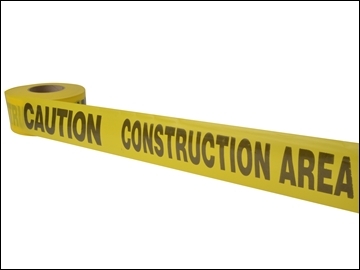 Hanson barricade features 2 inch black characters with the words 'CAUTION CONSTRUCTION AREA' written on yellow 3 inch wide tape. It has a standard grade of thickness. 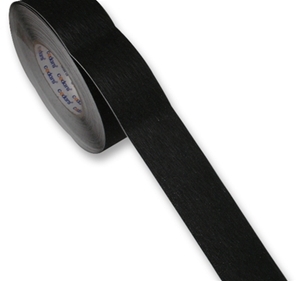 Tape length: 305m (1,000 feet). 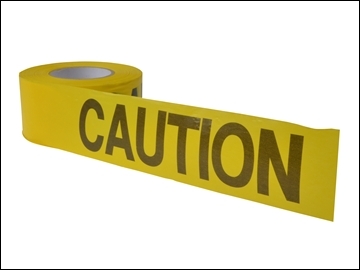 Tape width: 7.5cm (3 inches). This C.H. 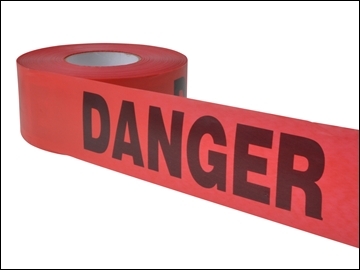 Hanson standard-grade barricade tape features 2-inch black characters with the word 'DANGER' printed throughout the length of the 7.7cm (3 inch) wide red tape. This C.H. 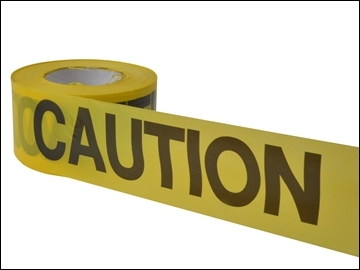 Hanson economy-grade barricade tape features 2-inch black characters with the word 'CAUTION' printed throughout the length of the 7.7cm (3 inch) wide yellow tape. 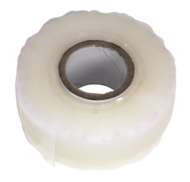 Mammoth PTFE water tape is a non-adhesive tape for use with threaded fittings and compression joints on all types of water pipes, compressed air cooling and hydraulic systems. WRAS and EN751-3 approved. 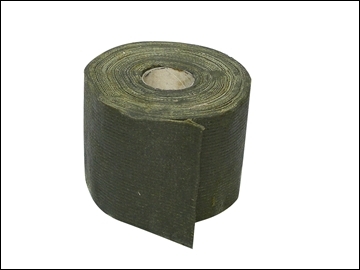 Complies with BS7786 1995 Grade L.
3M 9080 high performance non woven double coated tape 50mm x 50M. 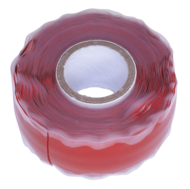 9080 is a double coated acrylic adhesive on a non-woven tissue carrier. It has a very high level of initial tack and good adhesion to a wide variety of surfaces including LSE materials.  Flexible between -50°C to +260°C.  Neaten up lines and extension cords in stowage. 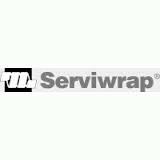  Wrap hydraulic fittings and other exposed metal connections to help prevent corrosion.  Works even over wet, dirty, or oily surfaces.  Wrap it around anything that you want to secure, and it will never leave any sticky residue. 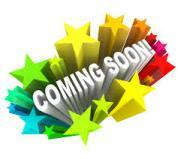  Not be used with Petrol, Diesel or Brake Fluid.